They swoop in at daybreak for a quick bite of breakfast. 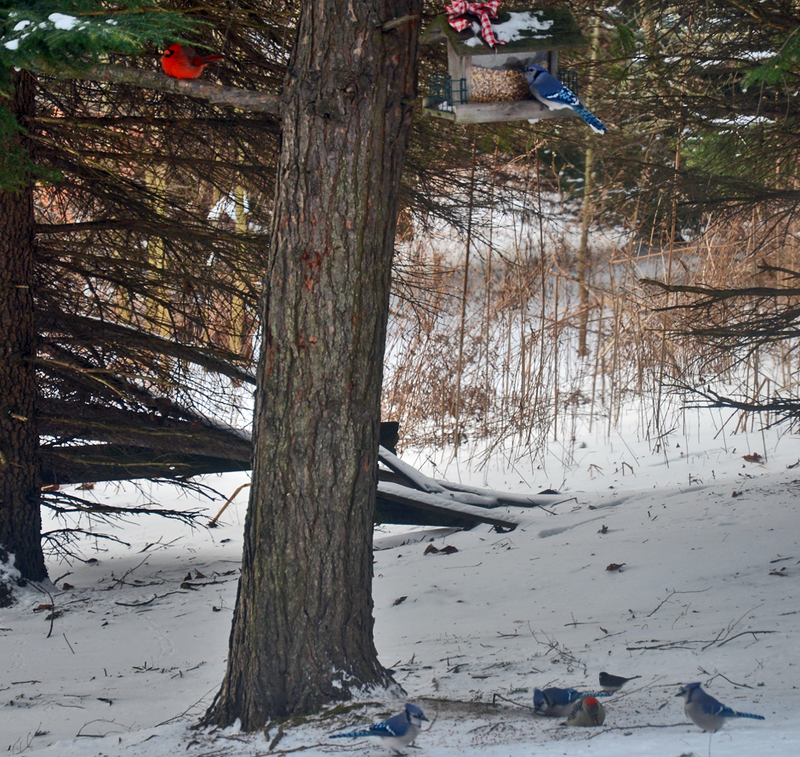 They return with their spouses, neighbors and distant relatives for brunch at 9 a.m. Cardinals, blue jays, red-headed woodpeckers and more — sharing the bounty of corn and sunflower seeds. 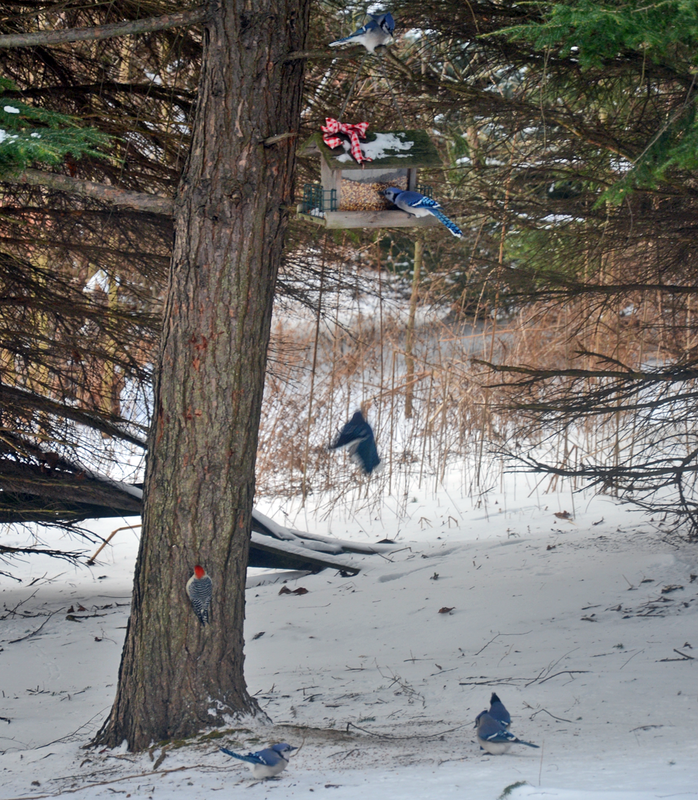 They’re the birds of winter and they bring vibrant life to the quiet, winter-wrapped space beyond my window. We attempt to read or write or clean or go on with our daily duties, but too often we return to the chair by the window to sit and watch and absently ponder their movements. Winter seems silent and cold … but look beyond the frost on the window. See what there is to see! Such a fun photo! We mostly have chickadees and wrens here (PNW) – a Rufus Towhee on occasion – I grew up in NE and loved watching the blue jays out the window at my grandparents – – they’re pretty lively! Beautiful, I just adore birds. Always makes me think of the verse from Matthew 6:25-27!